Welcome to a new weekly segment. This will be a form of link party with numerous other Bloggers and Vloggers where we open ourselves up. Some posts will be in the form of embarrassing tales, getting to know you posts and other’s will be Question and Answer posts, and will be released each Monday. If you would like to take part in the link up please email me at Thestationerygeekette@yahoo.com and I will send details. If anyone has any questions they would like answering in upcoming posts then please reply with a comment. Kids…kids and planner addict parents aren’t always a good combination. I mean yeah organisation is on spot, events are well planned and everything you need to know about your homelife is documented and alphabetised. 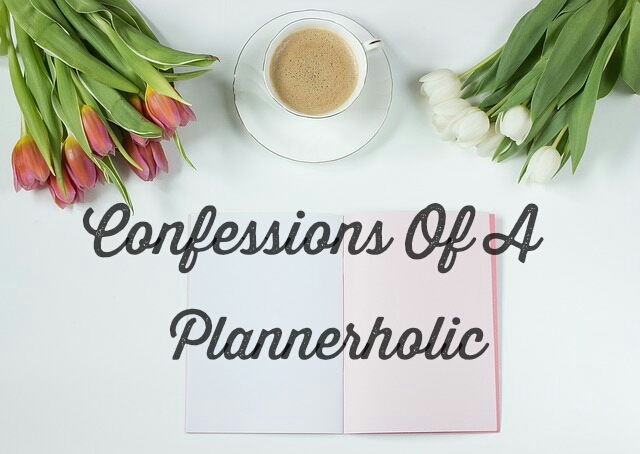 However, I am not a good planner addict mummy and this is my first confession. I hide my planner supplies. I love my children and I am all for their creative exploration but not at the expense of my planner pretties. I will and have sulked about the misuse of washi, pen scribbles on my planner pages and people using my precious pens. The 13 year-old premenstrual teenage girl comes out in me and it isn’t pretty. Aside from the cost of the supplies it’s that they are mine, my territory and the only thing that I have that belongs solely to me. They have their own and do not need mine. It has now resulted in my hiding my washi, pens and paper. I skulk about like a pro-ninja sneaking things out of boxes and cupboards discreetly writing in my planners when the children are distracted. Once they are in bed is when they real fun begins. Like a child at Christmas I get everything out I want to use and spread it all over. If I could roll around in it like it was piles of cash I would, although I’m sure my partner would have me committed.